I’ve been quiet lately because I’ve been too busy … hope to break free of that by mid-May and get back to some projects. I’ve made time to do a little server work; I’m trying to build a more consistent set and get my servers all up to current OS versions. I have three nice rackmount server cases, and while scrounging ATX motherboards to put into them, I ran across this. 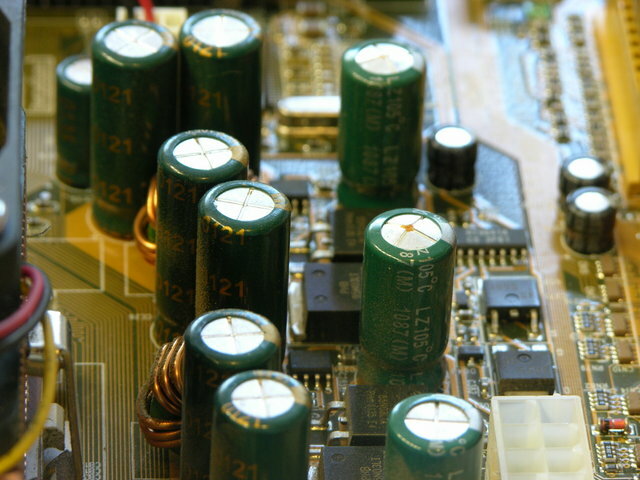 The electrolytic capacitor just to the right of the center of the image is seriously bulging, as is the out-of-focus capacitor behind it. They both test good with the Capacitor Wizard, but I wouldn’t trust either of them with power applied, at least not inside anything I care about. Always at least visually check electrolytics before you power up something that’s been off for a while. Desoldering was easy — heat both leads and gently rock them out. Cleaning the solder out of the through-holes was trickier. At least one of the holes was attached to one or more large copper planes and kept sucking away the heat — I had to add solder, keep it preheated with the iron so it stayed liquid through the hole’s whole depth, and quickly slip the solder braid into place. Heating solder braid on top of a topped-off through-hole wicked away the top solder before heating it all the way through. And then I ran out of solder braid. Ended up drilling out the holes, which I’d wanted to avoid in order to avoid any risk of damaging the plating. But I picked a small enough bit that I didn’t even remove all the solder, and it worked out okay. The replacement capacitors I had on hand were a little wider and crowd adjacent components, but at least are rated for 105°C like the originals. And they seem to work; the board is now cheerfully running my new backup server. 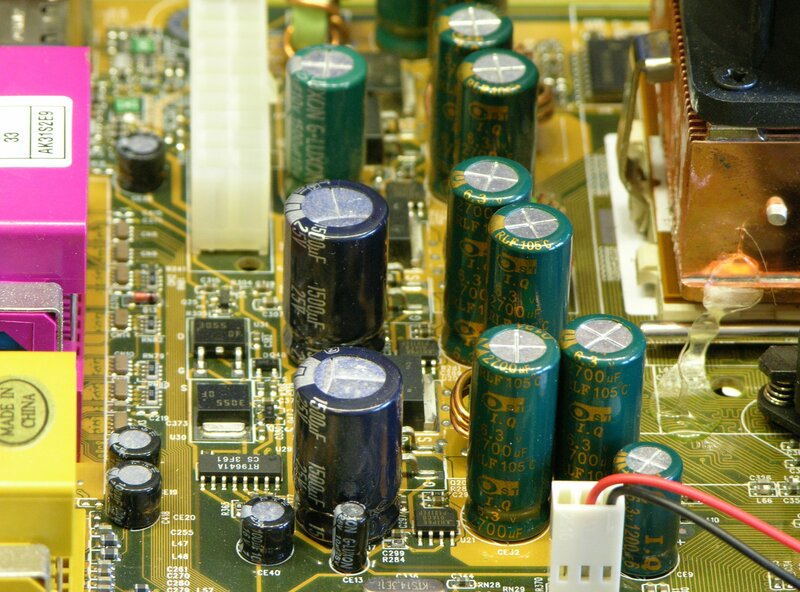 You are currently browsing the Keith's Electronics Blog blog archives for April, 2012.